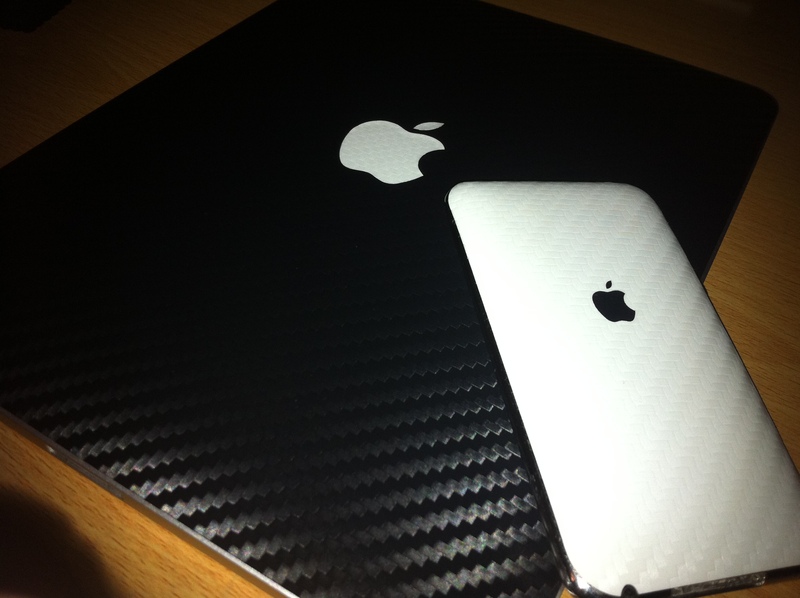 iCarbon skins are one of the best carbon fiber effect skins for iDevices around today! 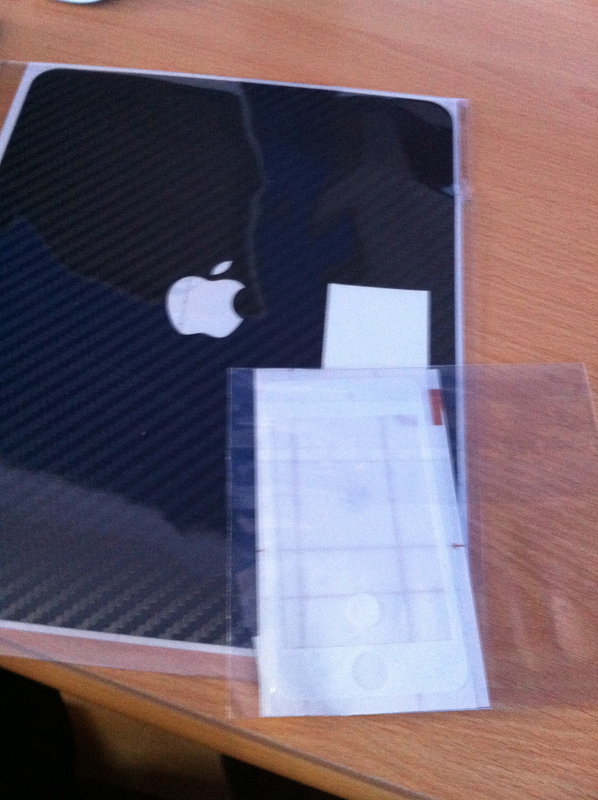 The skins come in white or black, with a carbon fiber look and feel. The skins are available for a variety of Apple devices and other devices too. 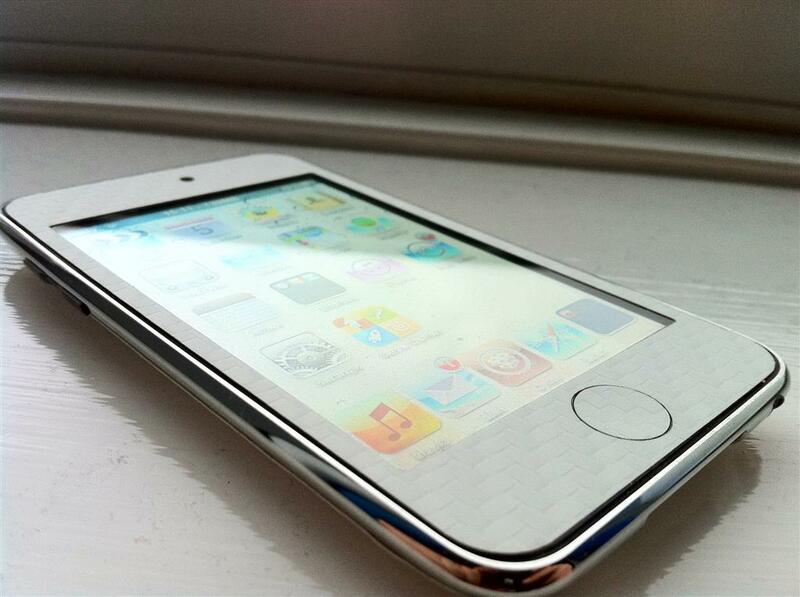 I was lucky enough to receive an iPad skin and a iPod Touch skin from iCarbons to review and I’ve got to say, I am very impressed! 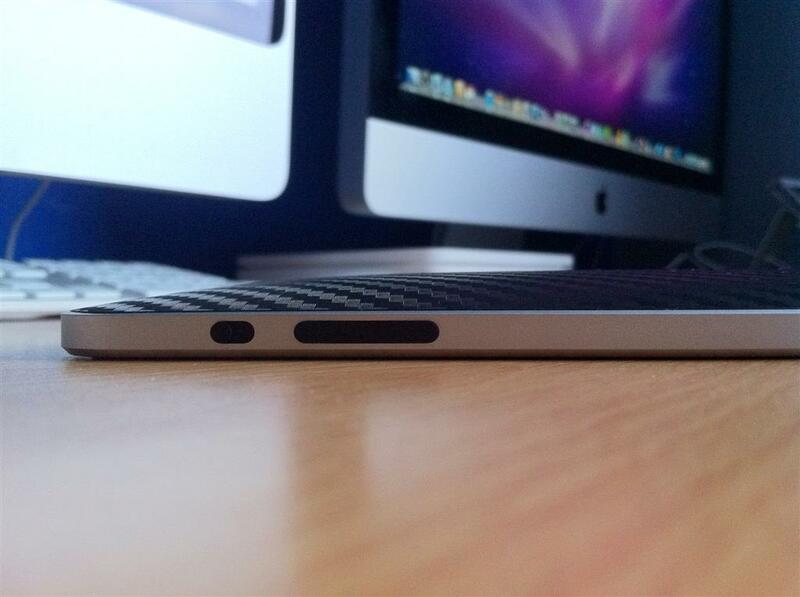 The skins are extremely easy to install and look amazing. They add minimal bulk to your device and are also scratch proof! To install the skins all you need to do is peel the skin off of the backing sheet, align it with your device and then stick and push any bubbles out. I did have a little mishap when applying to my iPod Touch in which a corner wouldn’t stick down, but using a hair dryer on a low heat setting, I was able to heat the skin slightly and it then stick down with no problems. 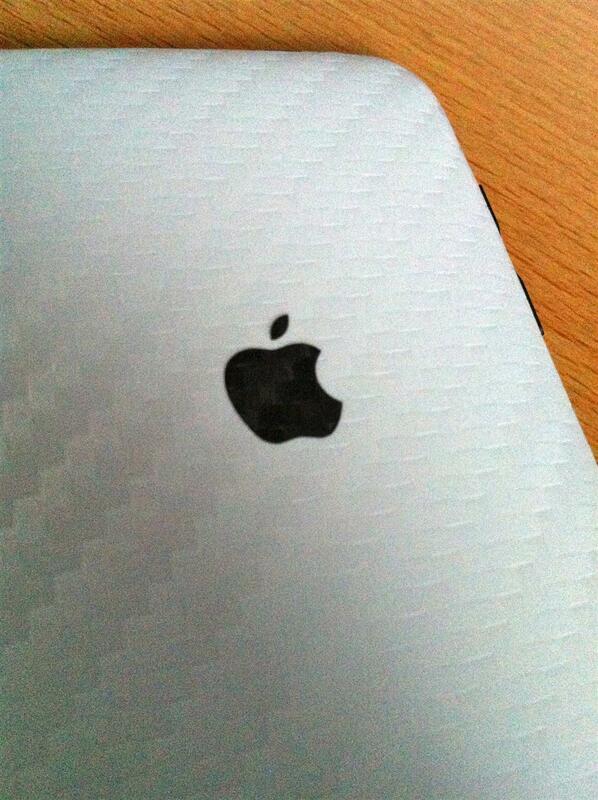 The black iPad skin I received is very attractive on the back of my iPad, and the white Apple logo just finishes it off perfectly. 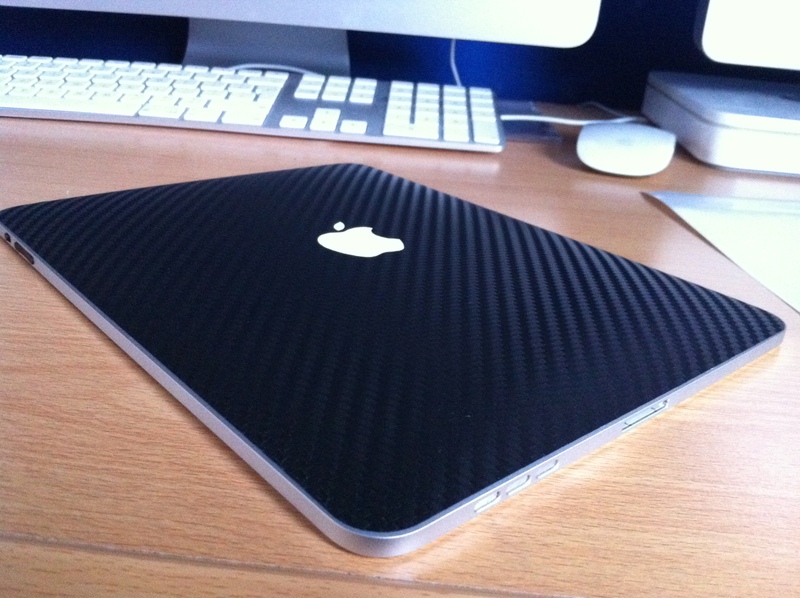 Not only does the skin look great but it feels good too, with the skin offering a little more grip than a bare iPad does. The iPad skin does have an option for the front that goes around the bezel, but I have a screen protector on the front of my iPad so I didn’t install it. 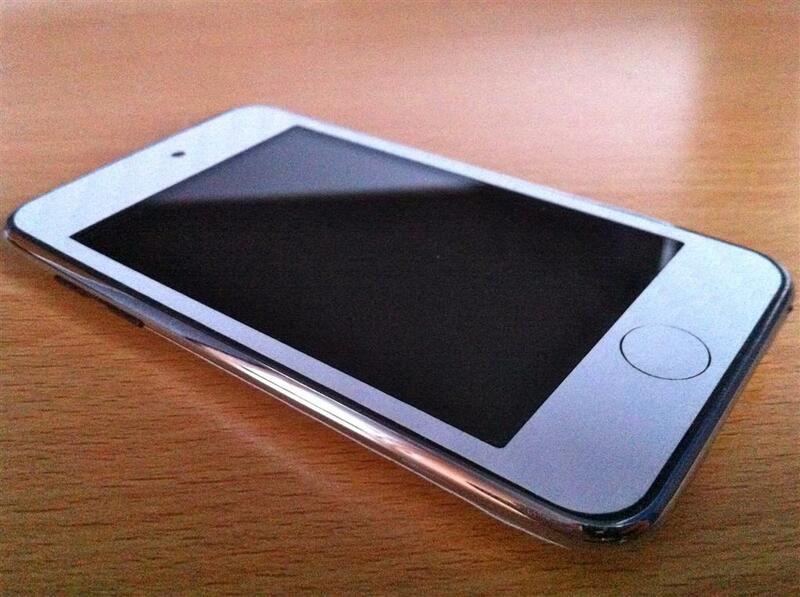 I received the white version of the skin for my iPod Touch 3G and again it looks very good! 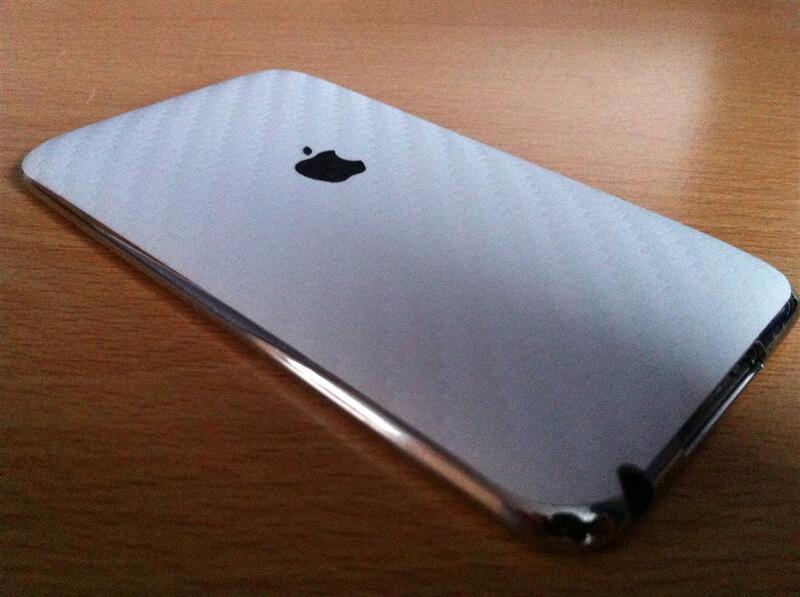 The white version comes with a black Apple logo so it stands out and has the same carbon fiber look and feel. iCarbons are great if you want to change the look and feel of your device and you can pick up the iCarbon skins from www.iCarbons.com for iPhones, iPods, iPads, games consoles and a variety of Macs. 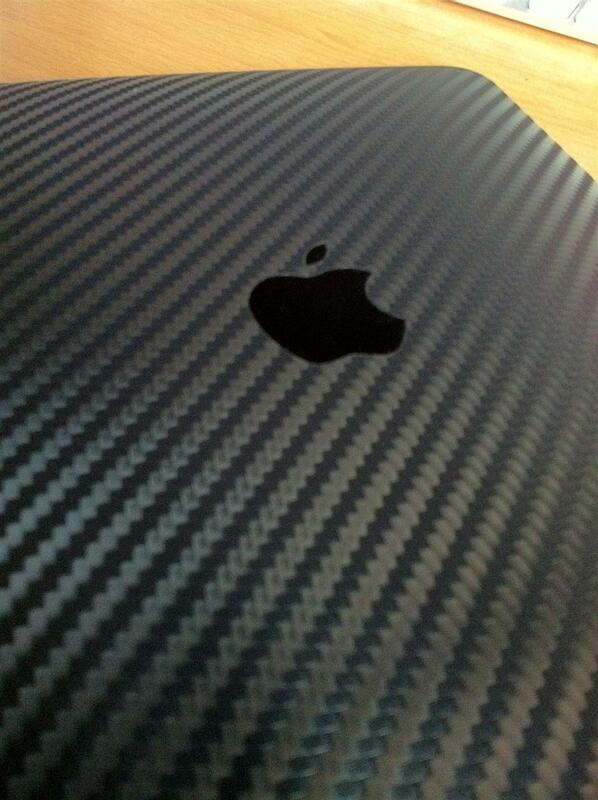 You can also follow @iCarbonsdotcom on Twitter.